A home swap is a great way to travel on the cheap, but is swapping homes for your next vacation really that easy and safe? We asked a couple of veteran home swappers to find out. 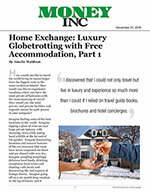 Home Exchange: Luxury Globetrotting With Free Accommodation Part 2 – How is it done? Some travel trends come and go. But one of the hottest, which has only been gaining steam, is home exchanges. 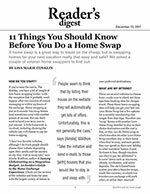 Unlike renting a house, condo or apartment, home exchanges are just what the title says—exchanges—where you and another party swap domiciles for the length of a vacation. Ainslie Waldron, author of Luxury Globetrotting on a Staycation Budget, is traveling in the United States on practically no budget. 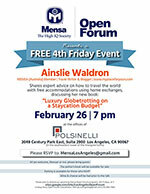 Find out how Ainslie got started in traveling through home exchanges. How would you like to travel in luxury for as many months each year as you fancy travelling for? How would you like to do that on a staycation budget? Well, I am lucky enough to have found a way to do just that and am living proof that it works. I love to travel in luxury for as many months each year as I fancy. I do this on a staycation budget. How? You may ask. Well, I am lucky enough to have found a way and am living proof that it works. I have discovered the world of home exchange, and I have never looked back. 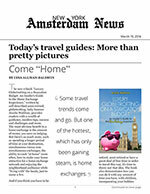 Boomer Travel Patrol host, Lisa Kaslyn gets the ins and outs of home exchanges as a vacation option with Ainslie Waldron, "My Place For Yours" blogger and author of Luxury Globetrotting on a Staycation Budget.